What Happens During A Washington State Field Sobriety Test? 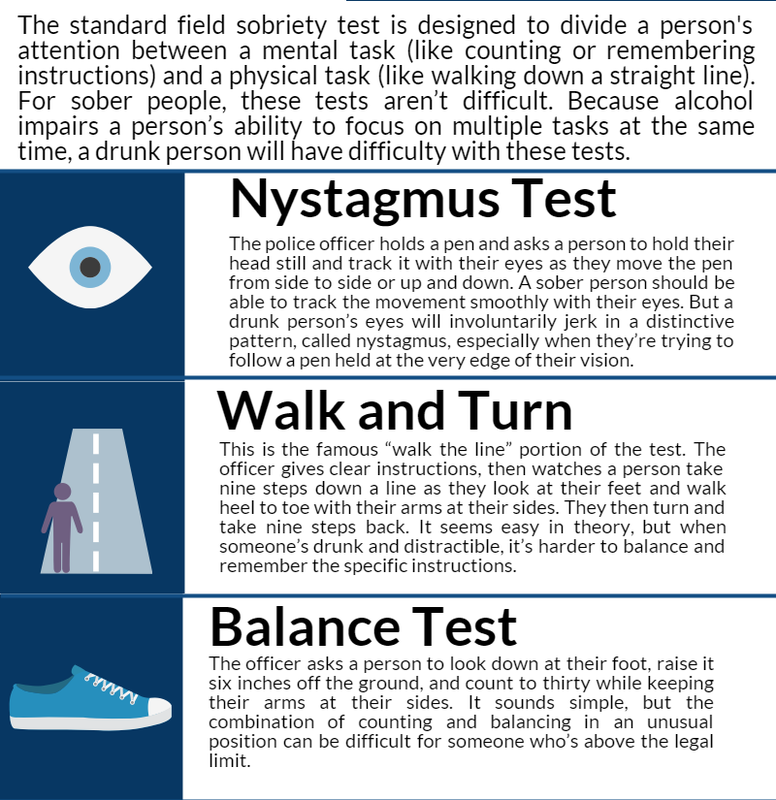 Field sobriety tests are helpful for law enforcement officers in determining if a driver is under the influence of alcohol or drugs. 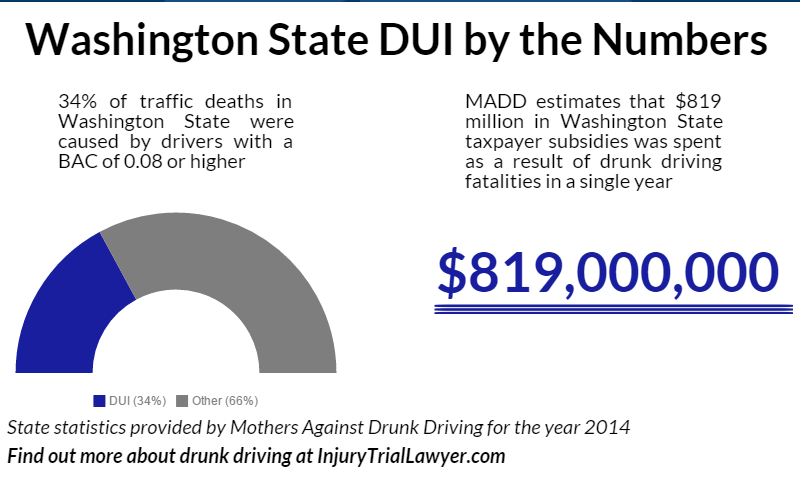 Drunk driving crashes result in thousands of injuries and fatalities each year in Washington state, and as a result enforcement of drunk driving laws is a focal point for both local police agencies and the Washington State Patrol. 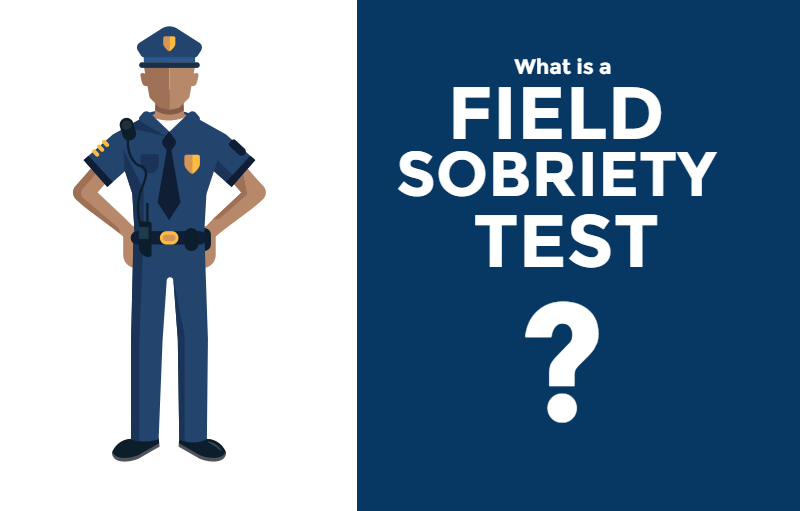 The standard field sobriety test is designed to divide your attention between a mental task (like counting or remembering instructions) and a physical task (like walking down a straight line). For sober people, these tests are not difficult. Because alcohol impairs a person’s ability to focus on multiple tasks at the same time, a drunk person will have difficulty with these tests. 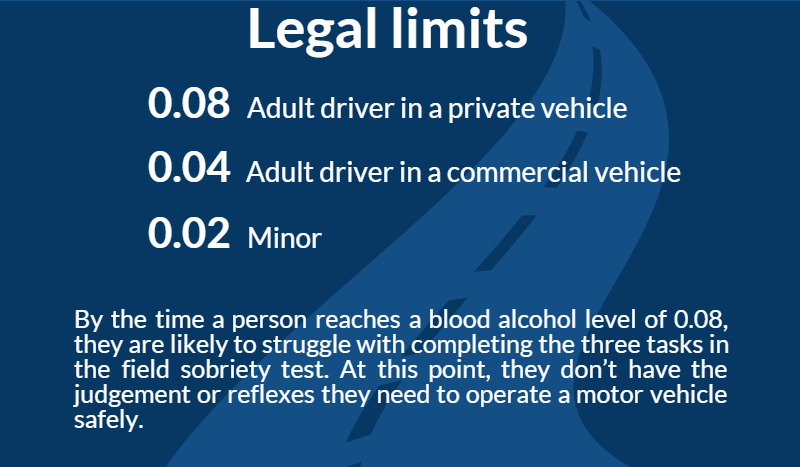 By the time a person reaches a blood alcohol level of 0.08 (the legal limit for adults in Washington state), they are likely to struggle with completing these tests. At this point, they don’t have the judgment or reflexes they need to operate a motor vehicle safely. The legal limit is lower in Washington state for commercial vehicle drivers, since handling a large and ungainly vehicle is especially difficult and dangerous while under the influence. For minors, driving with a 0.02 blood alcohol level is enough to count as a DUI. The police officer holds a pen and asks a person to hold their head still and track it with their eyes as they move the pen from side to side or up and down. A sober person should be able to track the movement smoothly with their eyes. But a drunk person’s eyes will involuntarily jerk in a distinctive pattern, called nystagmus, especially when they’re trying to follow a pen held at the very edge of their vision. This is the famous “walk the line” portion of the test. The officer gives clear instructions, then watches a person take nine steps down a line as they look at their feet and walk heel to toe with their arms at their sides. They then turn and take nine steps back. It seems easy in theory, but when someone’s drunk and distractible, it’s harder to balance and remember the specific instructions. The officer asks a person to look down at their foot, raise it six inches off the ground, and count to thirty while keeping their arms at their sides. It sounds simple, but the combination of counting and balancing in an unusual position can be difficult for someone who’s above the legal limit. What’s it like to take a field sobriety test? We sent one of our employees to the Washington State Law Enforcement Academy to learn what it’s like to take a field sobriety test. You can read that article on our blog.